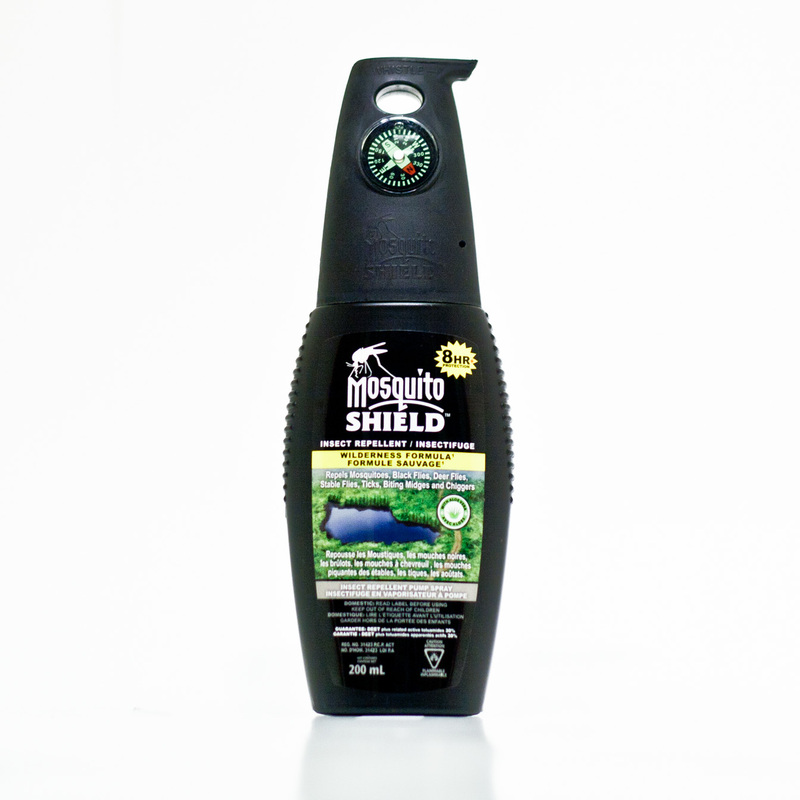 MS0003 – MOSQUITO SHIELD™ WILDERNESS FORMULA – PUMP SPRAY – KUUS Inc.
MOSQUITO SHIELD – MS003 – Wilderness Formula-8 hr (pump) STRONGEST PROTECTION AVAILABLE IN CANADA. The Wilderness Formula is serious protection for heavy insect conditions. Whether you are at the cottage, going hiking or camping, fishing on the lake, or just sitting around in the backyard, this is the formula for you. It’s an essential addition for extreme adventurers and outward bounders. Patented cap comes with a fully functional compass and whistle, as well as a carabiner hole for transportation. Wash whistle thoroughly before using. As with all products applied to the skin, test a small area to ensure no adverse reactions prior to use. 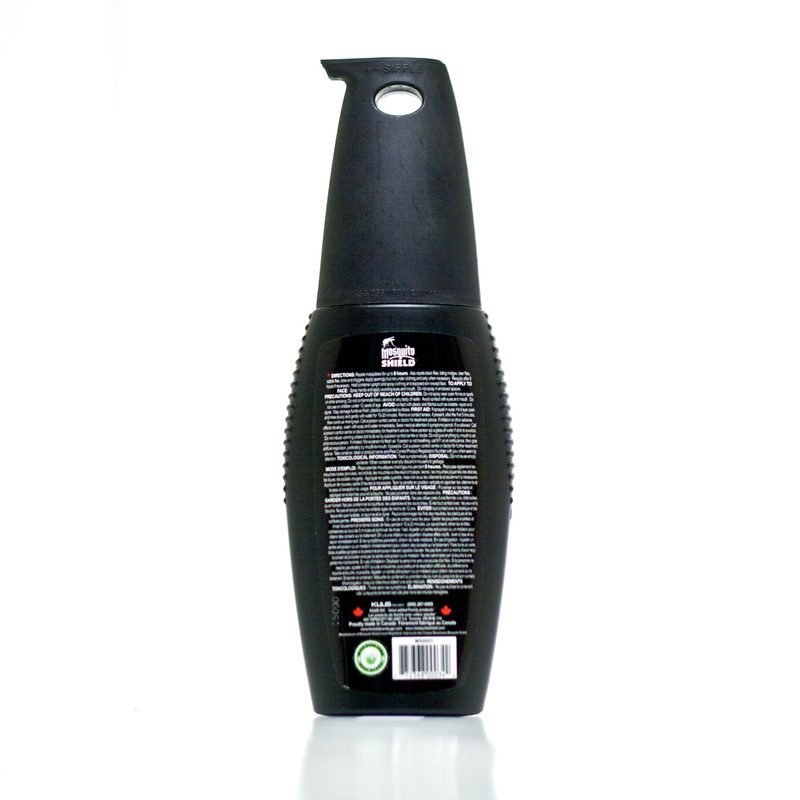 Discontinue use if signs of irritation or rash appear. *Please remove cap from can for compass to work properly due to the magnetic qualities of the can. * Should compass become separated from cap discard compass immediately – chocking hazard keep out of reach of children. DIRECTIONS FOR USE: Repels mosquitoes for up to 8 hours. Also repels black flies, biting midges, deer flies, stable flies, ticks and chiggers. Apply sparingly but not under clothing and only when necessary. Reapply after 8 hours if necessary. Hold container upright and spray clothing and exposed skin except face. TO APPLY TO FACE: Spray hands and apply avoiding eyes and mouth. Do not spray in enclosed spaces. WASH WHISTLE THOROUGHLY BEFORE USE.